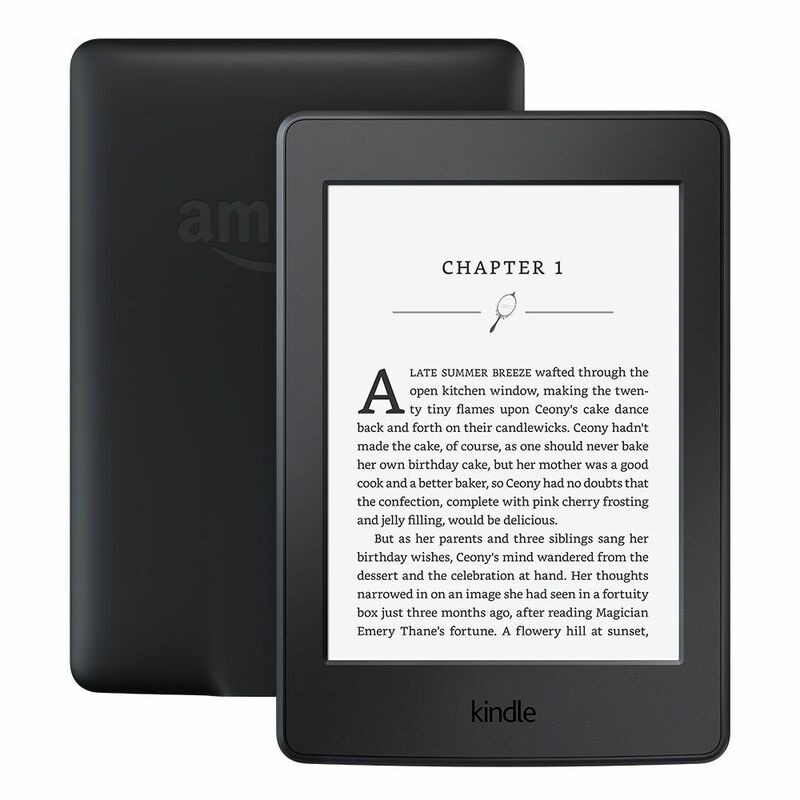 If you have a larger budget, one of the best gifts you can get a book fanatic is the highly-rated Kindle e-reader. This device from Amazon has more than 40,000 five-star reviews, all from book lovers who say they can't imagine life without their Kindle. Kindles are incredibly helpful for reading on the go. This particular version has a 6-inch high-resolution display with a built-in adjustable light that allows you to read in the dark. The special screen has a paper-like finish, so there will never be a glare—even in direct sunlight. The battery charge lasts for up to six weeks, and you'll have access to a massive selection of e-books from Amazon—there are over a million titles! As an added bonus, most Kindle books are less expensive than physical versions, so you can read more for less. Even reviewers who love the feel of physical books admit that the Kindle is a great purchase. With this portable e-reader, you don't have to tote around heavy books—instead, you'll have a whole library at your fingertips, all in a light, compact device. Want to give your favorite bibliophile a functional, yet adorable gift? This Literary Tote Bag fits the bill perfectly. You can choose from three designs based off classic book titles for a great gift any book lover will surely cherish. These handmade tote bags are made from 100% cotton, and they’re 16” x 13” x 5”—perfect for taking to the grocery store or farmers market. Each bag is silk screened with passages and decorations from one of three classic books: ​Little Women, Sense and Sensibility, or Alice in Wonderland. Plus, another awesome feature of these tote bags is you can simply toss them in the washing machine when dirty, so they'll serve you well for years to come. The Literary Tote Bags are an affordable, thoughtful gift for any book lover—particularly those who enjoy the classics. Plus, the bags are made by hand in the U.S., so you can feel good about giving these creations as a gift. The decorative chart is printed on a 24" x 18” piece of paper with water-based ink. The handmade design features a variety of literary quotations, each written in the silhouette of classic wine containers, from bottles and goblets to stemmed glasses. According to the product description, the style and shape of the vessels each reflects the era of the quote within, so the Elizabethan-style chalice holds a verse from Shakespeare and so on. Reviewers say this is a thoughtful gift for anyone who loves wine and literature. One writes that “it's really fun to read the quotes and I think it will be a great conversation piece.” All in all, the Wine in Literature Chart is a unique, affordable gift for the book lover in your life. Does anything spell relaxation quite like a warm bubble bath accompanied by a good book and glass of wine? Probably not! That's why the Royal Craft Wood Luxury Bamboo Bathtub Caddy Tray makes an amazing gift—especially for those with busy schedules and hectic lives. Encourage your favorite book lover to enjoy a little “me time” with this pampering present. The waterproof, slip-resistant bathtub caddy measures 29.5” when closed, but it can extend up to 43” to fit just about any tub. The top-rated product features a book or tablet holder, slots for wine glasses, and removable trays for all your bath and spa accessories. It's made from eco-friendly organic bamboo and designed to last for several years. Reviewers say that they love taking a relaxing bath with this tray. Many say it fits even the biggest bathtubs and allows them to unwind with all the necessities nearby. Several people also note that it makes an amazing gift! Learn about literature while you sip your mid-afternoon tea with these Novel Teas Tea Bags. Each of the bookish tea bags includes a quote from a great author, from CS Lewis to Alice Hoffman, for literary-inspired tea time. Any tea lover will get a kick out of these adorable tea bags. The box comes with 25 bags of caffeinated English breakfast tea from Sri Lanka, and each bag features a tag with a quote from a classic literary great. 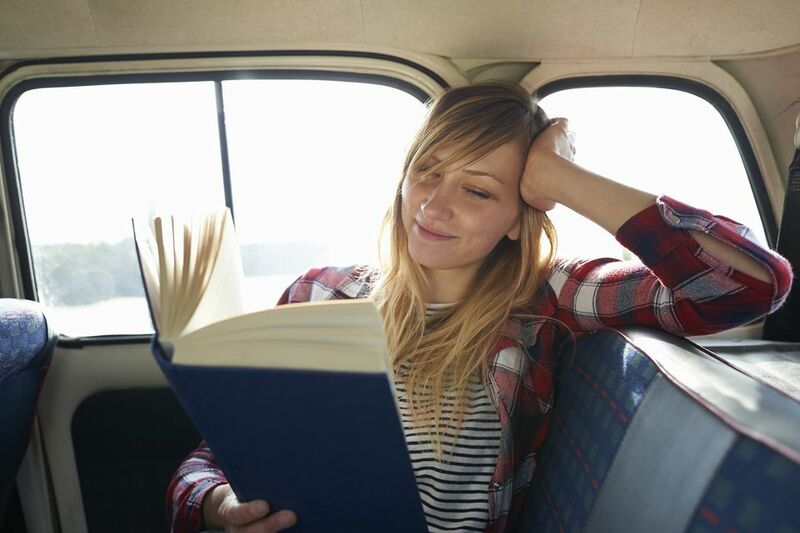 The majority of the quotes revolve around books and reading—such as “Books may well be the only true magic”—making them a perfect gift for any bibliophile. The Novel Teas Tea Bags get top marks from reviewers, who say they make tea time more fun and are a lovely gift. Many note that the packaging is nice and the tea tastes great, to boot. There's no better way to display a killer collection of books than with some adorable bookends, and these vintage-inspired bicycle bookends would make a dashing addition to anyone’s home decor. Reviewers have great things to say about these bookends, writing that they're gorgeous and high-quality. However, the only downside noted is that the bookends are on the smaller side, so they may not be able to hold up large or heavy books. If you're looking for a gag gift or a small present for the bookworm in your life, this cute, inexpensive coffee mug may be the way to go. The cheeky “I Put The Lit In Literature” mug is sure to put a smile on the face of a bibliophile every time the pour their morning brew into it. This coffee mug is a simple, straightforward gift. It can hold 15 ounces of your favorite drink, and it has a large handle for easy gripping. On the side, it reads “I put the lit in literature” with a silly picture of Shakespeare wearing sunglasses. The heavy-duty mug is both dishwasher and microwave safe, so it's easy to care for—what more could you ask for from a coffee mug? According to reviewers, the I Put The Lit In Literature mug is high quality and has the silly design printed on both sides. Many say they've given the coffee mug as a gift to literature nerds, and it makes them laugh every time they see it. While it may not be the most glamorous present, this Book Weight for Reading is arguably the most useful on this list. If you've ever tried to read outside or to read a new book without holding it, you know how frustrating it can be when the pages won't stay put. Enter the heavy-duty Book Weight, which holds your book open for a hands-free reading experience. The transparent book weight is made of acrylic and measures 12” wide and 9” tall, allowing it to fit on most common books. The product is quite thin—less than .5”— so it won't warp your book and is easy to see through. In addition to using the book weight while reading outside, many people say they use it while cooking to protect cookbooks from splashes. Other highlights of this product include that sand falls off it if you're reading at the beach, it's lightweight, doesn't crease books too much, doesn't distort the text, and is easy to read through.